Sometimes companies don’t want to commit to scanning all of their documents at once so they look for a more flexible solution. This is where Scan on Demand can help. Scan on Demand is one of the many scanning services available but what makes this service a little bit different is that rather than scanning all of your documents or storing all of your documents, you can do both in the most cost effective way possible. Scan on Demand is an integrated storage and scanning solution that lets you choose when you want to scan certain documents. The title is pretty self explanatory; you store all of your files at the scanning services warehouse then when you need some specific files, you request (or ‘demand’) for them to be scanned and sent over to you. It’s that simple. You only pay for scanning as and when you need it. You don’t have to pay for your file to be retrieved for a second time. Unlike traditional storage, you won’t need to pay for physical files to be retrieved and delivered to you. You won’t have to wait for days either as Scan on Demand offers a very quick turnaround. Quicker access will speed up office efficiency. Scan on Demand still frees up office space as much as regular document scanning does. You can abolish extortionate storage costs. You can cut down on printing and printer costs. Document scanning can help you to generate revenue. You can free up space usually taken by filing cabinets etc. 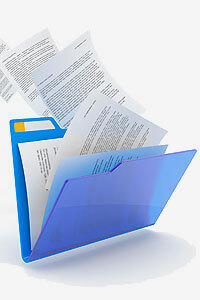 With digital, indexed documents, you can speed up file retrieval. You can view, edit and share documents quickly and easily. You can improve overall office efficiency. 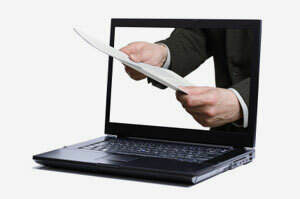 Digital documents are more secure than paper copies. Digital documents are safe from the Great British weather. Easier file retrieval will boost office morale. Less printing and paper in the office will improve your green credentials. Here at Pearl Scan, we offer a Scan on Demand service that can be tailored to the needs of each individual client including OCR scanning, indexing and formatting of your digital documents. Our Scan on Demand service has been trusted by a number of companies from a range of sectors including Human Resources, law sector, educational institutions, NHS & healthcare and government. If you would like some more information about Scan on Demand or any of the other document scanning UK services we offer, take a look at our website and blogs. For a free, no obligation quote, complete our online form by following the relevant links below.